Underground Combat Series Puts on Another Great Event! SPOTLIGHT: BJJ HQ- Daily deals on Brazilian Jiu-Jitsu gear and accessories. 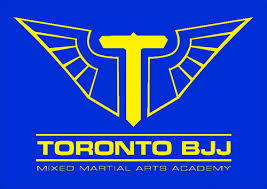 IBJJF News: Registrations for the Toronto International Open Jiu-Jitsu IBJJF Championship 2016 are still available! This event will be held on September 24th, and registrations will be closing Sept. 16! Visit www.IBJJF.ORG to sign up today.